From left; Megafest chief operations officer Mercy Matsika, South Eastern College marketing rep Lena Siwela, guest of honour Dr Tinashe Manzungu, South Eastern College vice principal Contact Chigayo and Megafest CEO Dr Tafadzwa Matsika. 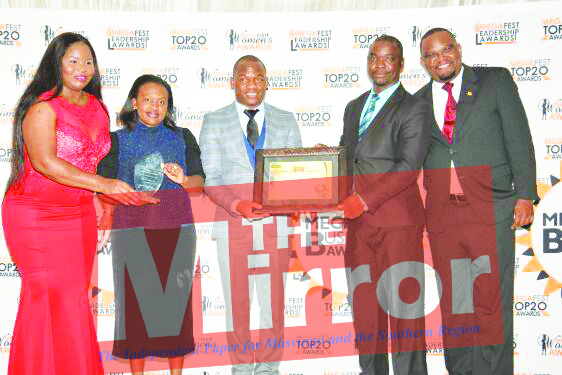 GREAT ZIMBABWE HOTEL- One of the most sought after private colleges in Masvingo Province and in particular the Lowveld, South Easter College has won two prizes for being the most astute leader and excellence of the year at the Megafest Masvingo inaugural business awards held on Friday last week. 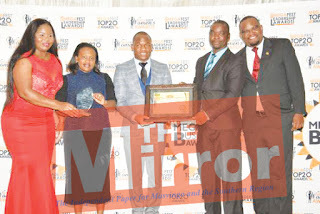 Tawanda Chimhamhiwa was adjudged the most Astute Leader of the Year and the college scooped Award of Excellence of the Year at a ceremony which was attended by captains of industries and public sector leaders. South Eastern College is a Cambridge and ZIMSEC centre which offers a unique co-educational school experience. Located in the South Eastern part of Chiredzi, the school prides itself in excellent learning and boarding facilities. Four choices of the learning experience are available. These are the full day school, full boarding, day boarding and weekly boarding facilities.These products are tailor made to match the different lifestyles that our community finds itself. The school runs a bus at the beginning, half term and end of the school terms for the full boarders and a daily and weekly bus run for the day scholars and weekly boarders alike. Diversity and inclusion is what we believe in.There’s no short cut for zeal and expansion and as a result the school is on the drive for development in all areas, especially the environmental management, sport and academic arena. Various accolades have been awarded to the school to date. Among them are the Cambridge awards for excellence in Agriculture and Chemistry 2017, Megafest award for the most consistent Organisation 2017 and the just received prestigious excellence award 2018 among others. A dedicated team of teachers and ancillary staff exude a cordial working relationship that affords the learners a well -rounded experience that explores their academic,cultural,sporting and spiritual development. We are grateful to our ever supportive community and stakeholders’.They are a force to reckon with.